Explanation: What causes the powerful explosions known as gamma-ray bursts? Astrophysicists still aren't sure, but the longest duration gamma-ray bursts (GRBs) seem to involve very massive stars. A new clue indicating this was uncovered recently by a series of images taken by the orbiting Hubble Space Telescope. 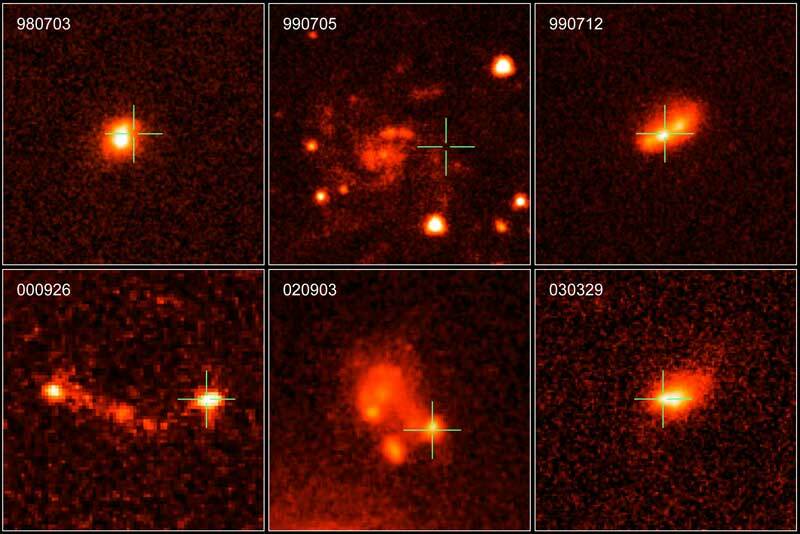 These images, shown above, indicate that long duration GRBs typically appear to come from galaxies and regions of galaxies with bright regions rich with star formation and bright, massive stars. 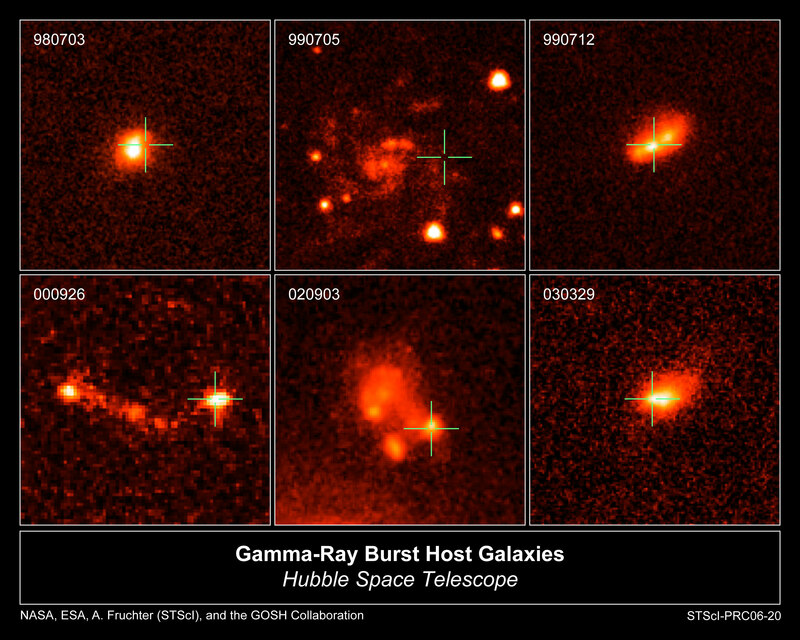 Long GRBs are therefore different than many types of supernovas, which occur more uniformly distributed in their host galaxies. Since such active star forming regions are relatively rare in our Milky Way Galaxy, the chances of a nearby GRB affecting life on Earth are relatively slight.